Being a strange sort of child, I used to love to make potions (usually out of a mixture of bubble bath and body lotions) and these enchanting pink petals used to drive my imagination every year – I would run down to the tree, scoop up a handful of flowers and try to mush them into a paste while retaining their pretty colour. It never worked, but that didn’t stop me from trying. When that tree died I was so sad. I was eight or nine when it stopped flowering as much, and the fluffy pink carpet I’d come to expect was barely there. By the next year, there were no flowers at all, and my dad explained that plants die too. Eventually, they cut my cherry blossom tree down. 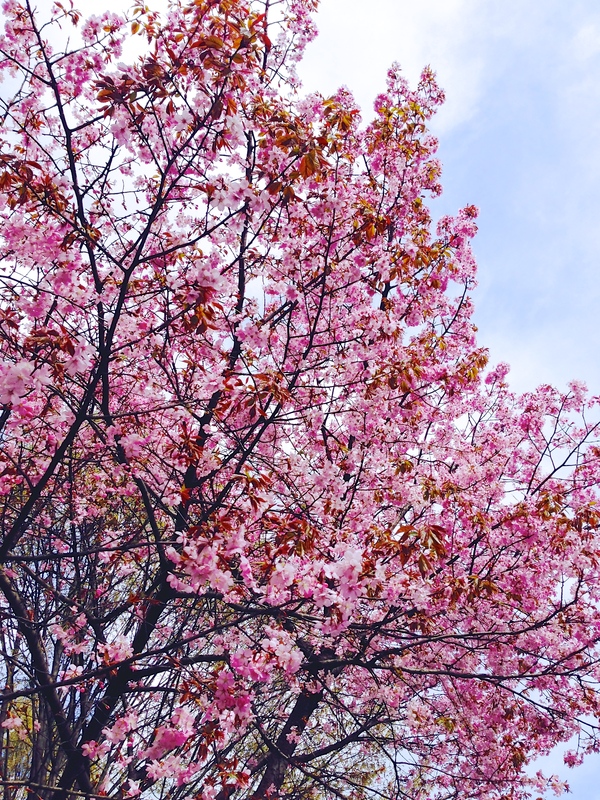 Now every time I see a tree with blossom on it, I can’t help but remember how much fun I had with my cherry tree. They remind me of my wonderful childhood, how special it felt for all those flowers to be mine, and how people used to wonder at it when they came down the road. 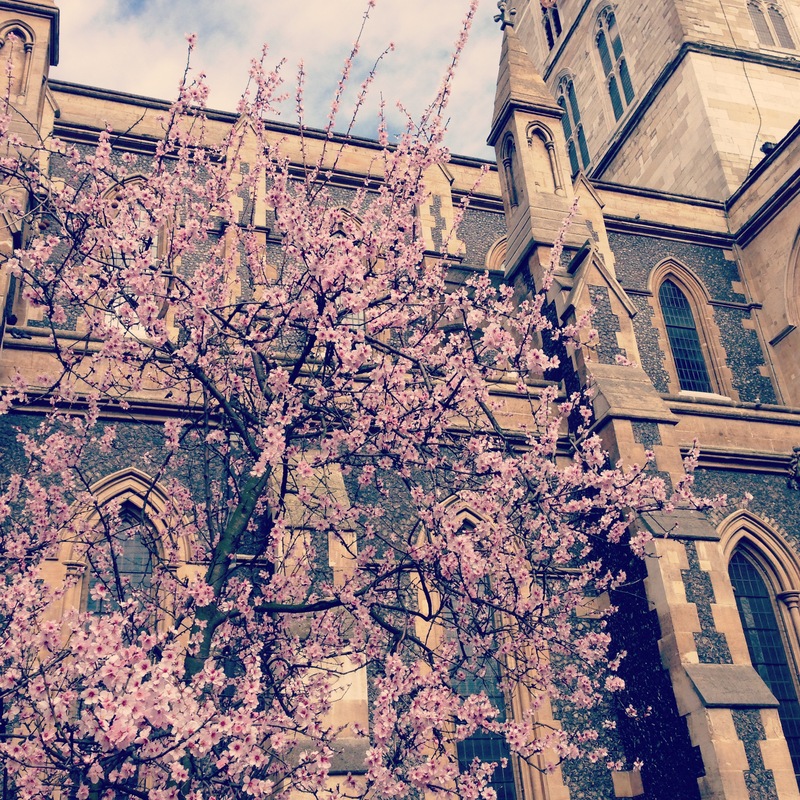 So I hope you enjoy these photos of blossoming trees that I’ve found around London, because they’ve certainly been a source of happiness to me these past weeks. This entry was posted in Environmental stuff, London and tagged flowers, London, nature, spring. Bookmark the permalink. So beautiful. 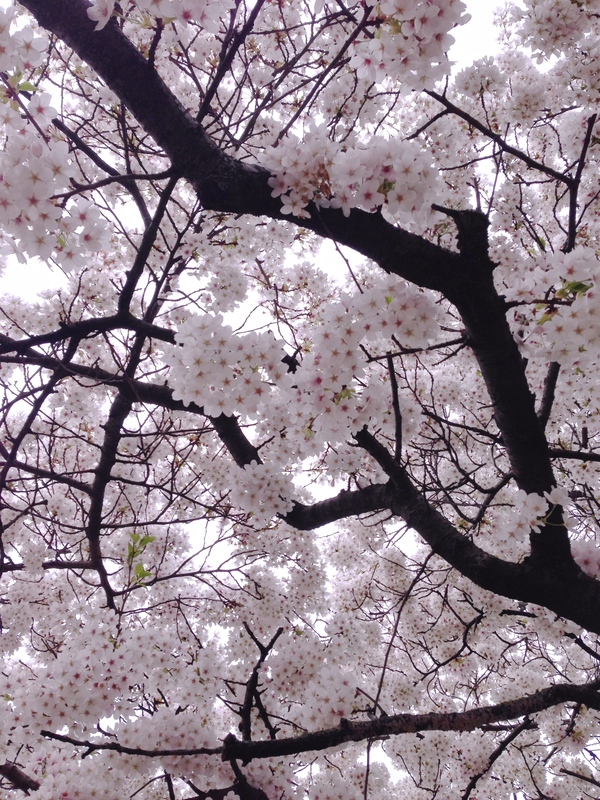 I can’t imagine anybody might not like cherry blossom.